The Philippines’ digital community, seen as an emerging growth sector, is getting a significant and innovative boost with the first-ever Decode Tomorrow: The Aboitiz Future Challenge Hackathon. 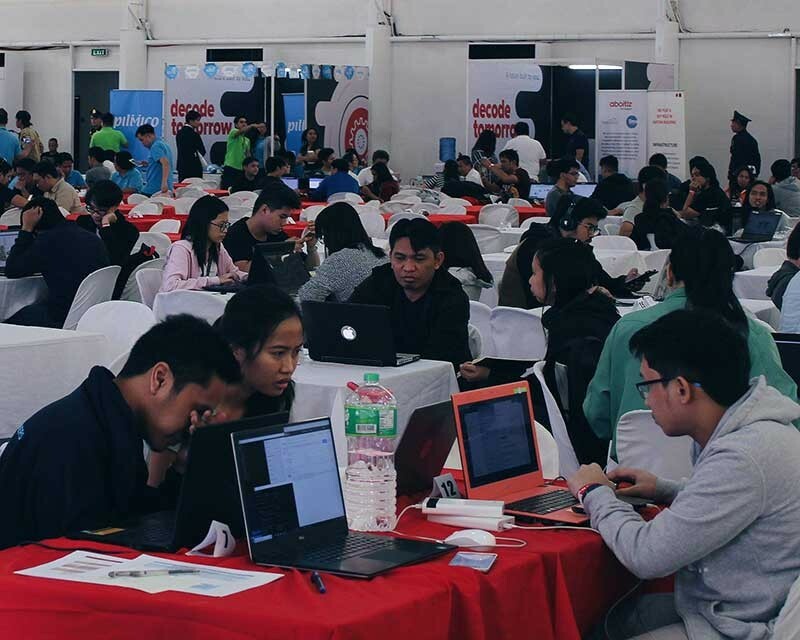 The two-day hackathon, held from November 10 to 11 at The Mega Tent in Ortigas Center, Pasig City, attracted 800 participants from all over the country, bringing together the broadest range of country’s best and brightest in the field of information technology, students and young professionals alike. “Hacking” business- and community-oriented challenges, the participants--in partnership with various Aboitiz business units--demonstrated their tech know-how using intelligent applications, immersive experience, the Internet of Things such as Big Data and Predictive Analytics, Artificial Intelligence, Robotics and Automation, etc., or a hybrid of these methods, in order to create solutions that make a difference. Events such as Decode Tomorrow help bring together local innovators--including the tech startup community--and provide an ideal venue for incubating ideas and growth strategies. “Decode Tomorrow brings together all the business units of the Aboitiz Group to build a digital community keen to play in these spaces where innovation, technology and purpose intersect,” said Erramon I. Aboitiz, Aboitiz Equity Ventures, Inc. president and chief executive officer. “As innovators, we work to better ourselves, to learn more and contribute more. In everything we do, our highest aspiration is to drive change for a better world by advancing business and communities,” Aboitiz added. Decode Tomorrow: The Aboitiz Future Challenge Hackathon is a clear demonstration of two of the Aboitiz Group’s core values: innovation, or better ways to provide efficient systems, quality service, and products; and teamwork, or a multi-disciplinary approach to achieving business goals--working independently while promoting cooperation and mutual respect. Decode Tomorrow participants (consisting of start-up entrepreneurs, freelancers, and 2nd to 4th year college students) were given until Nov. 10 to form groups of three to five and take a crack at various hackathon challenges using various technologies. In typical hackathon fashion, hacker-participants were given 24 hours to “hack” the challenge, after which they will be asked to produce and pitch to a judging panel a working prototype (software or hardware) of their chosen challenge. Judging criteria will include idea quality, sustainability, potential impact, application intelligence, and demonstration, as well as innovation, business impact, and overall quality. Should the hacker-participants present a successful pitch, they may be called in by various Aboitiz Business Units to re-pitch for further collaboration and incubate a solution toward proof of concept and launch, and onto commercialization, if viable. Cash prizes ranging from P40,000 to P100,000 are also at stake for the first, second, and third place winners.